5. 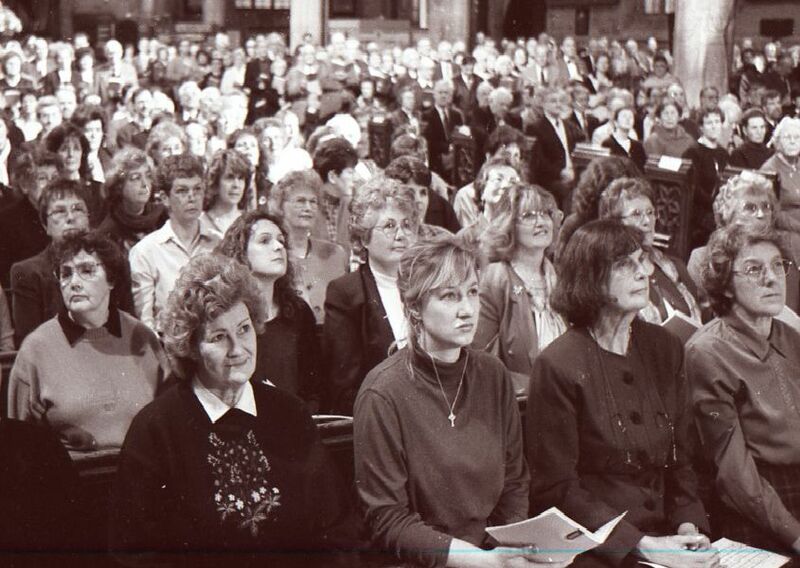 Songs of Praise, Boston, 1999. The show would also feature local people talking to Deborah McAndrew - better known as Angie Freeman in Coronation Street. 6. Songs of Praise, Boston, 1999. It was not the first time Songs of Praise had come to Boston. 7. Songs of Praise, Boston, 1999. The long-running programme visited the town 22 years earlier. 8. Songs of Praise, Boston, 1999. Gardening expert Daphne Ledward (right foreground) took part in the special Songs of Praise from the Stump.